Among the many wonders of the State Museum of Tatarstan is the harp of a famous native of Kazan city, the classic Russian Derzhavin. 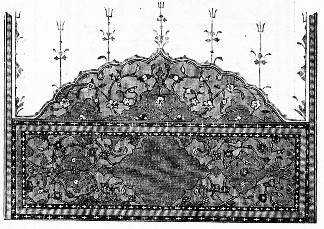 It was this same harp that accompanied the recitation the famous nostalgic lines: "How golden time rolls by in Kazan." The monument to this poet, now vanished, once stood in the square beside the Kazan Kremlin, in whose dungeons the young Derzhavin at the end the eighteenth century stood on guard by the cell of the captured Emelian Pugachev. Another monument in this same square commemorates the Tatar poet-hero Musa Dzhalil, who displayed the highest qualities of his people during the Second World War. In the Berlin Moabite Prison, where he was confined for anti-fascist activities when he awaited his inevitable execution he wrote the immortal poem which make up the anthology, The Moabite Notebooks, translated into many languages. Musa Dzhalil continued the great traditions of Tatar poets established by Kul Gali and the poet of old Kazan city - Muhammed. 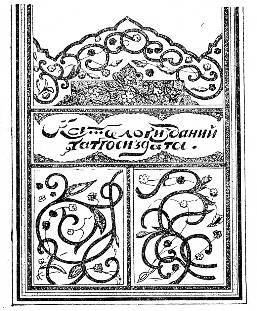 Tatar literature was written down from ancient times, and the level education among the Kazan Tatars was very high, thanks to the primary schools (mektebs) found in every village, which by the beginning of the twentieth century took in all boys and girls of school age. The Tatar higher schools, the madrasahs, were not simply for religious instruction, but also gave a broad grounding in many branches of natural sciences. From these graduated many exceptional people known not only in Russia and Central Asia, but also abroad. For many centuries the Bolgar-Tatar language was written Arabic script, but in the 1920s this was changed to an alphabet based on Latin, and in 1939 to the Cyrillic alphabet, with the addition of special letters. The Tatar language suffered more from the dictates of Soviet apparatchiks than under any other authority. This pressure on the Tatar literary was all the more cruel because the Tatar media had had the chance to develop relatively freely only since the first Russian revolution of 1905, when the Kazan Tatars gained the right to publish their own newspapers and journals. Before this, the role of periodicals was played by almanacs, such as the one that the renowned scholar Kayum Nasyri brought out in Kazan. The dynamic publishing activity completely transformed the spiritual and intellectual life of the Kazan Tatars - dozens of journals and newspapers started appearing, not to mention books on history, philosophy and science. 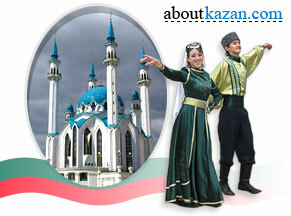 A love of manuscripts and printed books runs through the whole cultural history of Tatar Kazan. 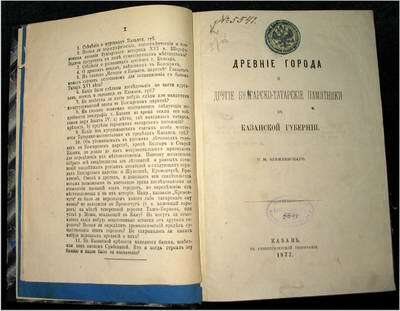 The Kazan city presses of the nineteenth century could exist financially only as a result of Tatar orders for books, which in some years reached two million copies. The well-known scholar and bibliographer N. Katanov wrote in 1904: "The Kazan Muslims manifest a passion for the meticulous printing of books. Those printed here go to all the Russian Muslims, to Siberia, the Caucasus and all of Asia. Kazan editions can be found even in the north-west area of China". This rapid development of culture in the early twentieth century was again cut short by the October Revolution of 1917, but it had succeeded in laying firm foundations for the flourishing of Tatar literature and culture in the times to come.